1 . Menchies is the best frozen yogurt. Very welcoming with the idea of allowing customers to taste test themselves...I always end up buying. 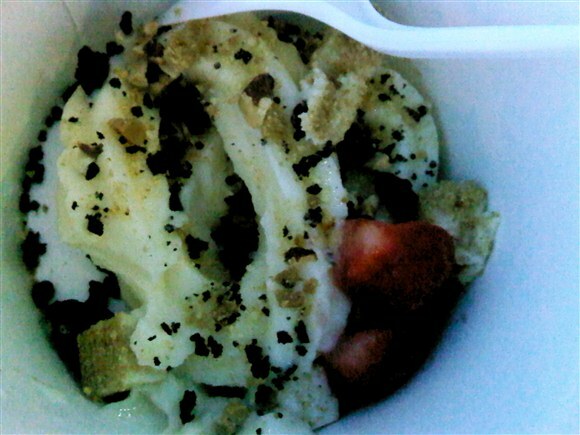 This mixture is their original tart with cookies and cream bits, skors bits and strawberries.